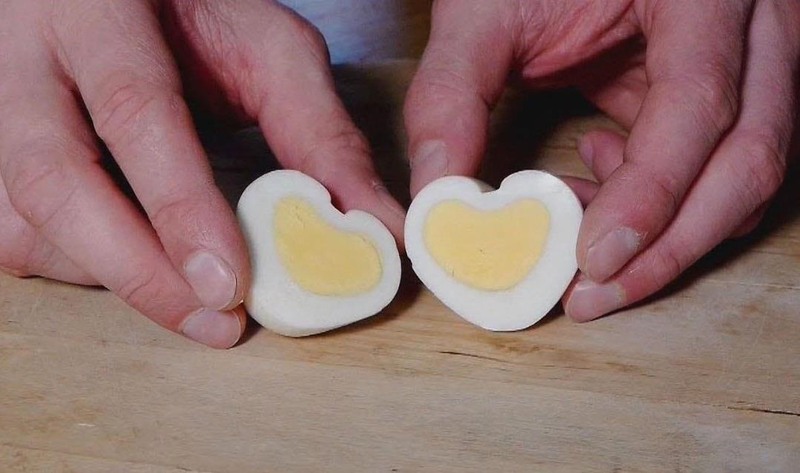 Make a beautiful heart-shaped hard-boiled egg. Add it to a salad and surprise your Valentine! You'll need an egg, saucepan and cooker, drink carton, pair of scissors, chopstick, and elastic bands. Full instructions are shown in this short and simple video tutorial.